I think the coolest thing about this one is the shoes themselves, which I found at a local thrift shop--barely worn Kenneth Cole suede pumps for six dollars. They even fit. Though sorely tempted (no pun intended), I'm probably too old and wobbly to actually wear them anywhere without risking serious injury. fabulous shoe, and painting, both! Great painting. 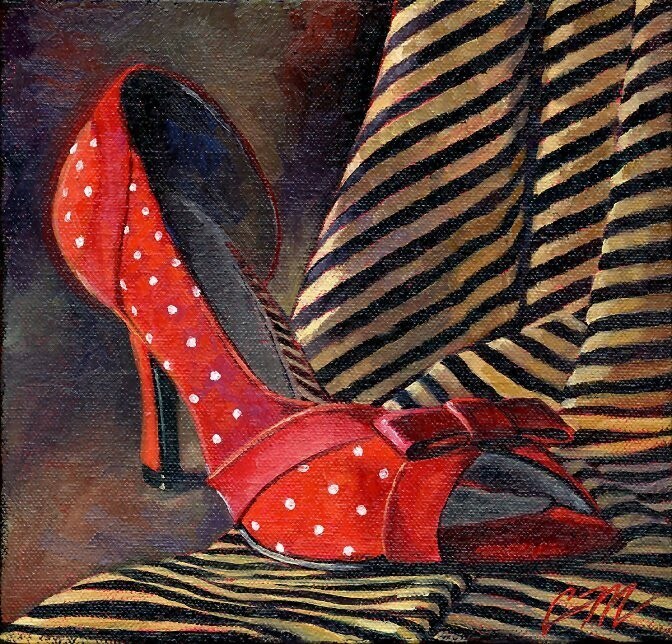 I actually have a pair of red polka dot heels too albeit not this high and I can't walk in those gracefully at all.